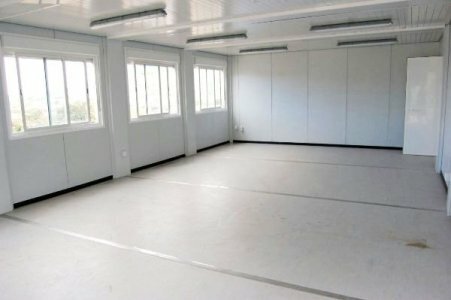 The prefabricated bungalow in kit set is a quick, reliable and cheap answer for the settlement of a life camp at a construction site, of an office, of a studio, of a canteen or of a workspace. 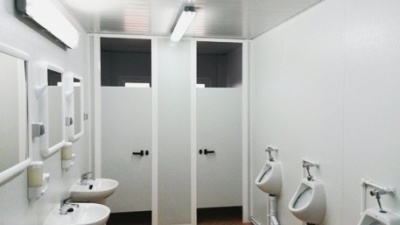 It is indeed the basis unit for the installation of modular buildings of all sizes, temporary or permanent. The design of our bungalows was thought so the delivery is optimized and secured to Senegal and throughout the entire world. Delivered quickly and turnkey, these bungalows in kit set are a very competitive answer to all of your projects. 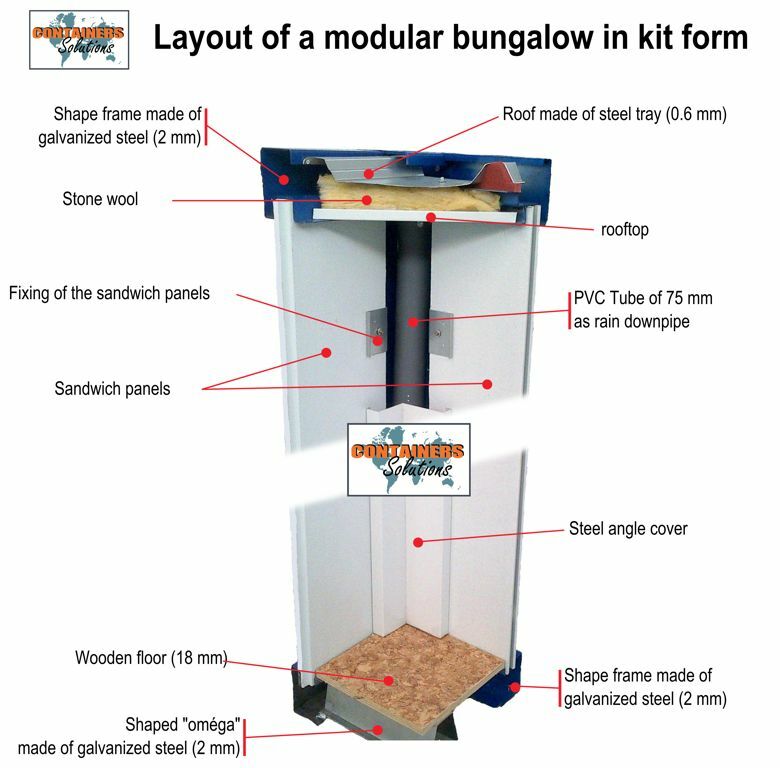 What is a bungalow in kit set? 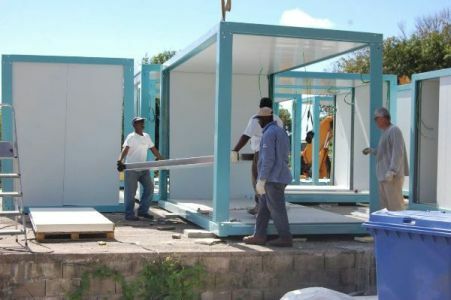 Commonly called « algéco » or prefabricated building, the bungalow in kit set is the fundamental unit for the construction of modular buildings. By juxtaposing and piling them, it is possible to arrange the space of the building depending on your needs, from few to several hundreds of square meters. 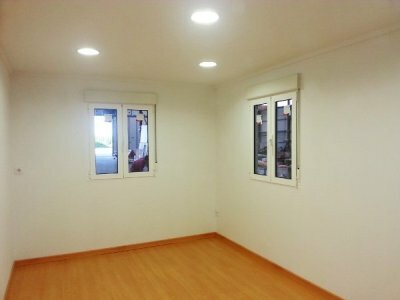 In other words, all the interior equipment of the bungalow are provided and ready to be assembled. The packaging in kit set or flatpack of the units limits the volume and eases the transport. Indeed, it is possible to convey several bungalows in a same truck or shipping container, which will limit the transport costs of the units. We are offering to deliver bungalows in kit form everywhere in Africa. The units are then assembled and put up together on site. Our network of forwarding agents allows us to address all the harbours, especially in Central Africa, West Africa and Maghreb. 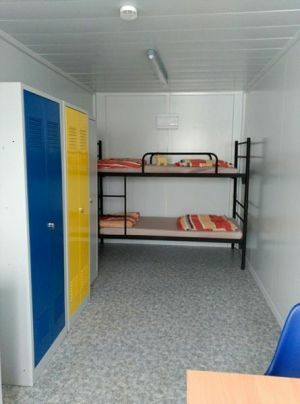 The bungalows are carried inside the shipping containers and we can put up to 10 bungalows (5.8 x 2.4m) in one container. 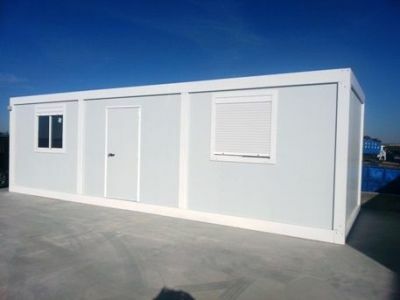 Therefore it represents up to 140 square meters of modular building in just one shipping container (not including accessories such as air conditioning, pipework, stairs, over-roof …). A manufacturing period averaging 5 to 6 weeks is enough to produce bungalows in kit form. Our European factory which employs more than 200 people is well anchored. Thus, we produce our frames, doors and windows internally. Thanks to 3 manufacturing lines of sandwich panels on site (polyurethane and stone wool), we comply with many of the technical expectations concerning your bungalows. The assembly of the bungalows is an easy and fast operation which doesn’t request any specific technical qualifications. Our bungalows are assembled within half a day (not including electricity and plumbing). To assemble the bungalows in kit set, a crane is used to set the roofs up, only after the bearing structure is screwed on (frame + corner posts angles). Upon request, the bungalows in kit set can be connected one to another to create wide spaces. It is also possible to add a floor to a maximum of two floors. We provide outside stairs in galvanized steels as well as handrails for the corridos. 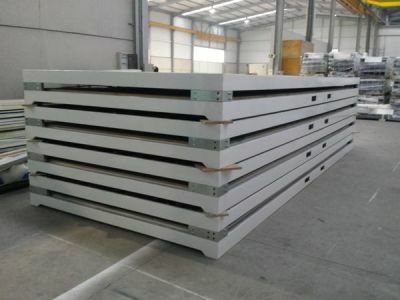 Based on our strong experience, especially in export, we are able to adjust the number and the layout of the units in order to meet your needs. We will also be able to quickly offer you a first sketch of the building set container for your project. 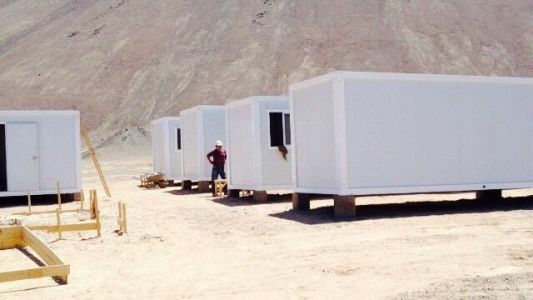 Our aim is to propose to you the best compromise between the cost and the technical solution whether it is for a life camp of several hundreds of people or for a simple dismountable container. Upon request, we supply supervisors in order to share the methodology and the instructions during the assembly process. 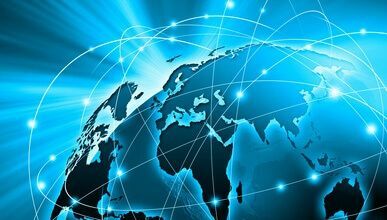 Indeed, the assembly teams are mostly hired on spot for cost and availabilities reasons. Likewise, Containers Solutions supplies the plan of foundations (posts and beams) on which the bungalows in kit set will be installed. 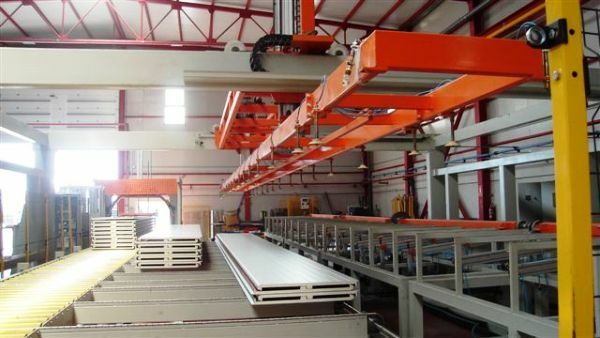 Upon request and depending on the projects, we can organize a prior visit of the manufacturing factory of the units. This visit will show you our capacity and our industrial organisation, as well as will allow to complete the technical details. A quality check at the end of the production can be done by ourselves or by an independent (subject to quote). Our objective is to reassure you and to make you confident in our efforts to find the best solution adapted to you project ! Our main website containers-solutions.com (see link in French) also offers many options of uses of the modular bungalows in kit set. In short words, whatever your modular project in the African continent might be, contact us for a free and quick estimate. Our team remains at your disposal to design the plans and to offer you a CIF project delivered as quickly as possible in the harbour of your choice. For your needs of storage or temporary quarters, Containers Solutions also proposes metal containers in kit set.